It brought a lot of positive changes to my life. It was early in the morning of January 28 of this year. I wrapped up my morning routine of meditation, gym, shower, and breakfast and was now staring at my laptop screen and sipping green tea. I was sweating bullets. The night before, I had decided I’d had enough wavering back and forth. I was going to sign up for mindbodygreen’s online meditation teacher training with Charlie Knoles. For the previous few weeks, I was plagued by self doubt as I constantly refreshed the mbg site. I had left my full-time gig the week before. I felt lost and I was paralyzed by the thought of making any serious decisions. I was also ruminating on what people would think of me. It’s not every day that a 27-year-old leaves his well-paying job in the tech space to become a meditation teacher. But regardless of the reactions of others, deep down I knew spreading meditation was my true purpose. I started meditating daily back in November of 2015. On that day, a fire started to brew inside me. 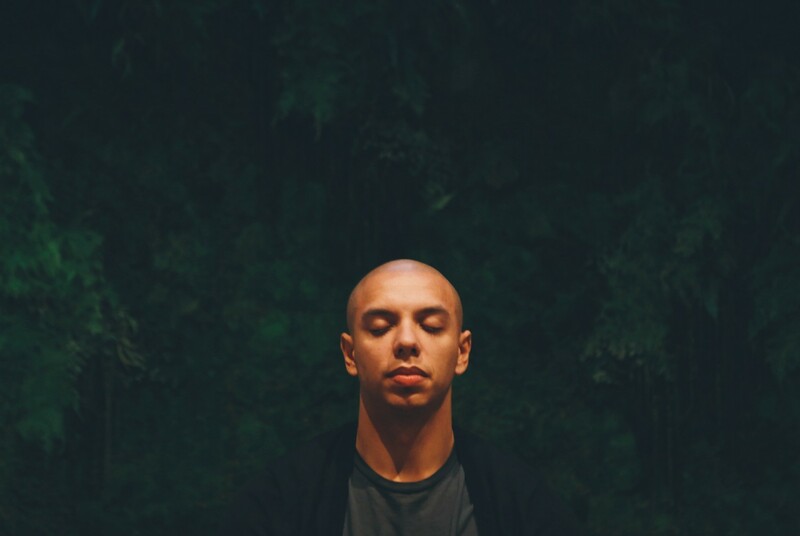 I saw the profound impact meditation had on my life, not only with how I dealt with my chronic stress and anxiety but how I treated myself and others. I thought there must be tons of millennials going through the same experiences as me — especially in New York. I had to share this effective tool somehow. As I stared at the “submit payment” button, hesitation started to rise again. To power through it, I visualized myself making an impact on people’s lives. I also visualized my own fulfillment through helping others. Reflecting on my motivation, I found the courage to follow through on my commitment. 1. I deepened my meditation practice. Going into the program, I had already made meditation a daily routine, but I felt as if my progress was plateauing. Through Charlie’s teachings and reading a book he recommended, I found a resurgence of inspiration and growth. I learned about diligence, positive reinforcement, and realized how much further I had to go. I’m currently in the “intention” pillar of the course, and I am practicing a “compassionate and loving practice” meditation. It is a visualization technique in which you show compassion to yourself and others. I am pretty critical about myself so this was something I needed. I knew it was going to be difficult to show myself compassion, but I was surprised how challenging it really was. I decided to focus on self-compassion and return to visually spreading it to others once I worked out the kinks. I’m not only deepening my meditation practice, but I’m also learning more about myself. As they say, you need to be your own biggest fan! 2. I learned more about myself and learned to teach with confidence. Through the program, I also gained a new skill: The ability to teach meditation with confidence. Little did I know the first class I would teach would be at the company I had left to do the program. I had spent the past couple years building iPhone apps at Prolific Interactive. I had worked with big brands like BaubleBar, Equinox, David’s Bridal, and more. It had been a fun ride, and I left the company on good terms. Since leaving, I had been in constant communication with them to figure out how to bring mindfulness to the workplace. On April 25, I returned not as an engineer or product manager but as a meditation teacher in training. I taught an introduction to meditation to 15 of my former colleagues. This was a surreal experience for me because we used to build apps together. Now I was giving out this tool that helped me transform my life. After the class was over, I left the office with an organic high like no other. 3. I stumbled upon a new business idea. From teaching, I saw some of the challenges of learning how to meditate through a different lens. Leveraging my programming background, I conceived of a way to teach in a much more scalable way. I went in curious about whether there was a way I could use my existing skills and stumbled upon a point in the crossroads. In parallel to teaching, I will be starting a company ZNCO, a personalized way to learn how to meditate from the convenience of your iPhone. I took a break from the tech industry to pursue something more fulfilling for myself, and along the way I learned that we don’t need to leave our pasts completely behind to pursue something new. Coming from a culinary background? Delight your future students with a post-meditation crepe or cupcake (and send me one, too!). Pursuing a certification in teaching brought unexpected positive changes into my life. At the very least, I can say I learned more about myself, which is the way to live a happier life. Starting this journey with an open mind, patience, and with the motivation to make an impact on others has propelled me to new heights. Any questions around the new company I’m starting or meditation? Shoot me an email @ [email protected]!